JOHN B. OGAN (1836 OH-1915 OH) ― My maternal 2x-great-grandfather was John Ogan from McArthur, Vinton County, Ohio. John was the third generation of his brick-making family in Ohio. John's grandparents, Evan Ogan and Susannah Fritter*, had moved north from Virginia to southern Ohio soon after the opening of the Northwest Territories. 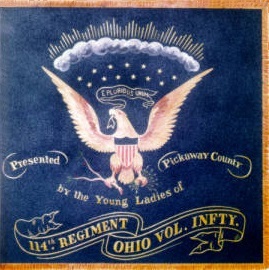 John enlisted in the 56th Ohio Volunteer Infantry, Company F at McArthur on November 8, 1861. Like Andrew Jackson Nickell, John Ogan was an active combatant in the Vicksburg Campaign. As Grant's Army pressed westward from Jackson to Vicksburg, Mississippi on May 16, 1863, John was shot through the shoulder at the Battle of Champion Hills. 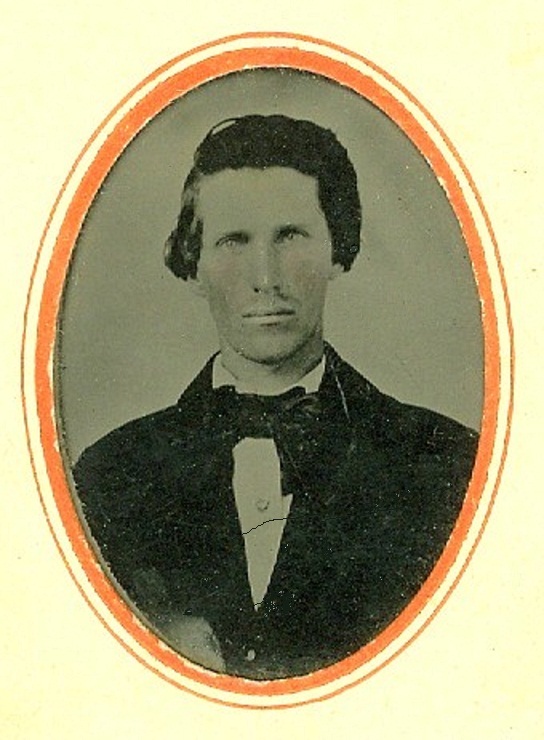 John Ogan survived his wound, and was mustered out with his regiment at New Orleans on November 14, 1864. He returned to Vinton County to start the highly successful McArthur Brickyard. John also made and played his own violins. He enjoyed a long and prosperous life in McArthur, and collected a veterans pension. John had nine children with three wives, and passed in 1915 at the age of seventy-nine. John is buried in Elk Cemetery north of McArthur, Ohio. * Susannah's father, Moses Fritter (1755 VA-1835 KY), was present Yorktown when Lord Cornwallis' surrendered to General George Washington to end the American Revolution. Moses recalled hearing the British band play, "The World Turned Upside Down." 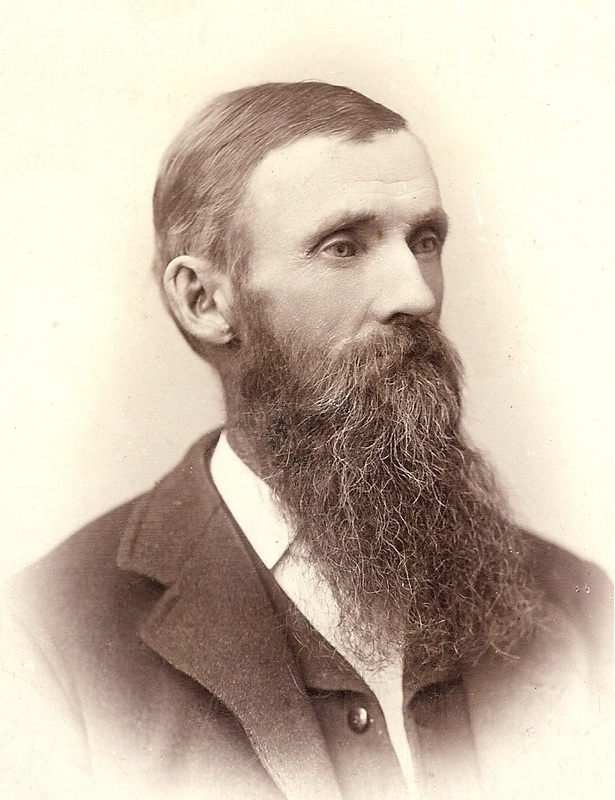 EDWARD HERRICK CULVER (1832 NY-1892 IL) ― My wife's great-grandfather, Edward Herrick Culver, was a successful farmer and stock-raiser from Sweetwater, Menard County, Illinois. While still an infant in the 1830's, Edward moved with his parents, Oliver Belden Culver and Betsey Holcomb from St. Lawrence County, New York to Indian Point, Sangamon County, Illinois. In 1839, that part of Sangamon County would become Menard County, Illinois. OLIVER BELDEN CULVER, Illinois Abolitionist, Pioneer Farmer and Lincoln Neighbor Oliver was an active abolitionist and attended Elijah Lovejoy's Anti-Slavery Convention in October 1837. Farming northwest of Springfield, IL, Edward's pioneer family lived and worked near a young Abraham Lincoln. For three years (1850-1853), Edward's brother-in-law, Abel Wilder Estabrook, was the teacher of Abraham's eldest son, Robert Todd Lincoln (aged seven through nine). ABEL WILDER ESTABROOK - Pioneer Educator, Lovejoy Abolitionist, Springfield Businessman, Loyal Husband and Father. 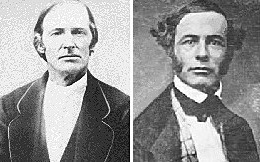 Near the end of the Civil War, governors of the Northwestern states (Ohio, Indiana, Illinois and Iowa) called for a volunteer force of 85,000 "Hundred Dazers" or One-Hundred Day Men. The purpose of these recruits was to relieve veteran soldiers from guard duty at arsenals, forts and elsewhere. Edward responded to this call, enlisting in the 133rd Illinois Volunteers, Company I on May 5, 1864. He was mustered into service on May 31, 1864. On June 3, the 133rd was ordered to the Rock Island (IL) Barracks. There the regiment was assigned to guard Confederate prisoners of war. After completing his enlistment, Edward was mustered out of the service at Camp Butler east of Springfield, IL on September 24, 1864. Edward returned to his family's Menard County farm. He married Annie Mauns Johnson, a native of Sweden on February 3, 1881. Together Edward and Annie had five children. Their second child, Edward Herrick Culver, Jr., my wife's grandfather, was born in 1884, twenty years after his father's service with the 133rd Illinois. After chopping wood on a cold December day in 1892, the elder Edward caught pneumonia and passed at the age of sixty. Edward is buried in Indian Point Cemetery north of Athens, IL. In 1829, Squire's father, William Henry Lee, first moved to Mercer County, Kentucky, then to Vermilion County, Illinois. In Vermilion County, the father and son became successful Vermilion County farmers and landowners. Squire Edward Lee became a Lincoln man and strong Union supporter. During the Civil War, Squire reportedly viewed the Confederate General as a traitor. Squire is buried in Gordon Cemetery in Danville, IL, overlooking Lake Vermilion. My middle name "Lee" comes from this family, as well as a legendary relationship to the famous General Robert E. Lee. You are the visitor since April 21, 1999.